Your contribution helps HomesRenewed drive research for incenitves to update homes. We are raising moneyfor research about about home updates. The HomesRenewed Resource Center needs to conduct research to make our case for aging in place incentives. $10K invested in home updates breaks even if one month in a nursing home is avoided. 100 grab bars installed at $300 each breaks even if ONE fall is avoided! We need more information on all the economic benefits of updating homes. By contributing, you will join the leaders of the movement to house America's older citizens with dignity. Your tax deductible pledge funds action to make the difference! Happy New Year! Looking forward to a great year for Homes Renewed! Honored to support Homes Renewed as they continue into 2019! Happy New Year 'Homes Renewed! 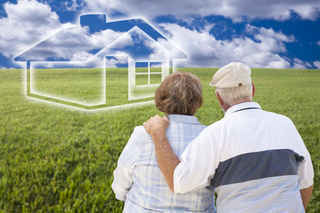 Supporting your 'Affordable Aging in Place' initiatives for making homes safer, more assessible and healthier. So many of our seniors need aging in place renovations and cannot afford them. Help support this cause! Bravo for all the work that Homes Renewed does!! !